Foods Matter, June 2007 – Professor Anthony Campbell and Dr Stephanie Matthews, who first looked into lactose for Foods Matter several years ago, delve deeper into lactose intolerance and how to structure a low lactose diet. The father of modern medicine, Hippocrates, over 2000 years ago (circa 460 BC) was the first to describe some of the symptoms that can arise if you are sensitive to milk – gut problems and skin itching. But it wasn’t until recently that we understood that, apart from contamination by harmful bacteria such as listeria or TB, there are two quite different medical conditions that can be caused by milk or milk products: an allergy to one of the proteins in cow’s milk, or an intolerance to the lactose sugar in milk. If you are allergic to cow’s milk you produce an antibody against a milk protein. An infant may become allergic to tiny amounts of milk drunk by the mother and passed on through the breast milk or to the far larger amounts they ingest in cow’s milk infant formulae. drinking milk or a milk product, you can start wheezing and scratching, and may then suffer other symptoms (see Table 2). Lactose intolerance, on the other hand, is caused by an inability to digest all the lactose in what you have eaten. Lactose is made up of two sugars stuck together – galactose and glucose. In order to digest lactose you have to split it in two. This is done by an enzyme in the small intestine called lactase. This works fine when you are on your mother’s breast. All infants have plenty of lactase. The problem is that, apart from most white Northern Europeans and a few dairying tribes around the world, humans start to lose this enzyme after weaning. The result is that a staggering 4,000 million people worldwide cannot digest lactose properly, and become ill if they eat too much. Symptoms vary hugely. Some people mainly suffer gut trouble (diarrhoea, constipation, pain, gas, and tummy rumbling), others complain of headache, muscle and joint pain, tiredness and concentration loss, a range of allergies and even heart palpitations as well as gut trouble. The reason for this is that any lactose (or carbohydrate, in fact) that is undigested in the small intestine moves on down to the large intestine. Here there are millions of greedy bacteria ready to gobble it up producing, in the process, hydrogen and methane gas and small organic molecules that are toxic. When absorbed into the blood these toxins move round the body creating havoc and miserable symptoms for the sufferer. Everyone can tolerate some lactose. So if you have been diagnosed as ‘lactose intolerant’ this doesn’t mean you have to avoid all dairy foods. Many people diagnosed as ‘lactose intolerant’ can eat some cheese. The amount of lactose in processed dairy products also varies dramatically, from very high to very low (see Tables 3 and 4). You can’t be ‘allergic’ to lactose. But you can be allergic to a milk protein. In this case you really need to avoid dairy products altogether, though different processed dairy products will contain varying amounts of allergic proteins. Allergy to a milk protein occurs mainly in infants and children. Most will lose their sensitivity by adulthood, though some people can remain allergic all their lives. Some 1-3% of infants are sensitive to one or more proteins in cow’s milk, a good reason to stick to mother’s milk! In the rare cases of severe milk allergy the allergic person must avoid all traces of milk proteins. These will be present in almost any product made from milk, no matter what form. (Tables 3 and 4). In contrast, sensitivity to lactose is most common in adults, though we do regularly see children who do suffer from this complaint. Since everyone can tolerate some lactose, you have to discover your threshold. Cow’s milk has nearly 50g lactose per litre, about 2-3 tablespoons. So a glass of milk has about 10-12g. Dairy products have to be declared on food labels but there is no requirement to use the word ‘lactose’ or to specify the exact lactose content. Processing dairy products significantly alters the amount of lactose they contain; lactose may often be ‘hidden’ in a processed dairy product such as whey; it may even be added to certain products. A recent weekend shop around the supermarket produced a full trolley load of meals, all containing some lactose, but few labeled as such! Dairying began somewhere in the Middle East only 6,000-8,000 years ago, though cheese making may have begun some 2,000 years before this. The story goes that, one hot day, an Arabian merchant put some milk in a pouch made out of a sheep’s stomach. At the end of his journey he found that the milk had separated into a white solid – the curds, and clear liquid – the whey. The separating agent is called rennet. called pepsin that does the job in our stomachs. Hard cheeses like parmesan and Cheddar are matured from the curd using bacteria. Two common bacteria in cheese making are lactobacillus and streptococcus. These are also used to make yogurt. On the other hand camembert, and blue cheeses such as roquefort, are matured by adding moulds. Most of the curd is casein that has entrapped the calcium from the milk, and just small amounts of other nutrients such as lactose. The bacteria have an enzyme that does the same job as the lactase in our small intestine. It breaks the lactose in two, so that it then gets converted to lactic acid. As a result hard cheese doesn’t contain much lactose. Italian ricotta cheese is made from concentrated whey, which has most of the lactose from the milk. Again bacteria will break down a lot of this lactose. But the final cheese will contain more lactose than parmesan. Similarly, the bacteria that make yogurt will break down a lot of the lactose. Natural yogurt may even be good for them. But some artificial yogurts can still contain a lot of lactose (see Table 4). Cottage-type cheeses are made from whole milk, and thus are likely to have more lactose than parmesan. The highest level we have found was in the Greek cheese feta, classically made from sheep’s milk. All milks contain lactose – human, cow, sheep, goat, buffalo, reindeer, and camel although there are small differences in levels. Reindeer has just 25g per litre, cow 49g per litre and human 70g per litre. But these are not really relevant to the amount in the final cheese. Only sea lion and walrus milk does not appear to contain lactose. On the other hand, if you are ‘allergic’ to cow’s milk protein, you may be OK with other animal milks. Watch out for dairy products that contain concentrated lactose (Table 3), particularly milk powder, condensed milk, evaporated milk, buttermilk and whey (usually transported dry and thus concentrated for convenience). Milk powder or condensed milk can have as much as 3-4 times the lactose per unit eight compared with milk itself. All will contain some milk proteins. Watch out also for products with added lactose: processed meats, precooked meals, soups, sandwiches, bread, croissants, rolls, biscuits, cakes and cake mixes, health drinks, chocolate, and many more. We discovered that one of our patients was taking a slimming drink that contained so much lactose that she was taking the equivalent of one litre of milk a day. Disaster! Butter is made by churning milk or cream, which coagulates the fat. The yellow colour comes from carotene. Butter is 80% fat, 16% water, 2% added salt, 1% curd. So it will take some six litres of milk to make 250g butter. Since lactose doesn’t dissolve in fat, the lactose content of butter is very low. Clarified butter is made by melting the butter, scooping off solids from the surface and then pouring off the pure fat. It is excellent for frying as it doesn’t burn so easily. It has virtually no lactose. The liquid left after churning the butter is called buttermilk. This, as with whey in cheese making, contains virtually all the lactose from the original milk, and most of the protein. In the US and Canada, bacteria are added to skimmed milk to make ‘cultured buttermilk’. But this still has a high lactose content. So if you are sensitive to lactose, look at the food labels carefully. Avoid at all costs any foods that contain dairy products known to be ‘very high’ or ‘high’ in lactose – see Table 4. And beware pills. Lactose is the most common filler in pharmaceuticals and supplements. Taking one pill a day is probably OK. But we have found some patients with gut problems on as many as 10-15 pills a day, most containing lactose. Bad news. If this is you, you should ask for lactose-free medicines from your doctor and chemist. (For more on lactose-free and other filler-free drugs see FM Nov 05 or on the FM website at http://tinyurl.com/2q4dl). The Food Standards Agency really needs to get its act together. We must have food labels that specify lactose on the label. We argue that the amount of lactose should be shown equivalent to a proportion of a glass of milk. We calculated that three slices of toast made to a recipe from a home bread-making booklet, using milk powder in its recipes, would contain the same amount of lactose as a glass of milk! Some of our patients may be able to tolerate this. But for others who can only tolerate a few millilitres this would spell disaster. 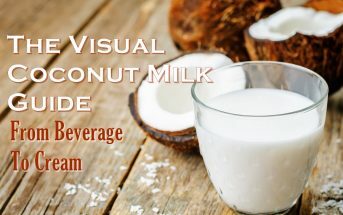 For more information on these topics and how to live dairy-free, see Go Dairy Free: The Guide and Cookbook for Milk Allergies, Lactose Intolerance, and Casein-Free Living. 1. Campbell, AK and Matthews, SB (2001). Lactose intolerance and the MATHS:syndrome: what are they and how can I cope? Pp 32. Welston Press, Pembrokeshire. ISSN 1474-6794, ISBN 0-9540866-0-0). 2. Campbell, AK and Matthews, SB (2005). Darwin’s illness revealed. Post. Grad. Med. J. 81,248-251. 3. Campbell, AK, Jenkins-Waud, J and Matthews, SB (2005). The Molecular Basis of Lactose intolerance. Science Progress 88, 157-202. 4. Matthews SB, Waud J, Roberts A and Campbell AK (2005). Systemic lactose intolerance: a new perspective on an old problem. Post Grad Med J. 81:167-183. Not sure why, but it has taken me several years to find this site. Apparently my gastroenterologist does not even know where to begin to look. Well I’m glad you found us Larry and I hope the information and recipes I provide are helpful for you!